Pivotal, the company at the intersection of big data, PaaS, and agile development, helps companies transform into great software companies. 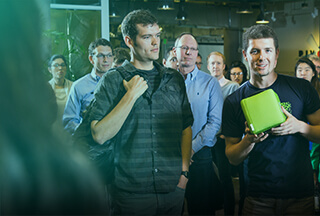 Pivotal offers a modern approach to technology that organizations need to thrive in a new era of business innovation. Our solutions intersect cloud, big data and agile development, creating a framework that increases data leverage, accelerates application delivery, and decreases costs, while providing enterprises the speed and scale they need to compete. The Pivotal team located in Cork, Ireland is seeking a Project Analyst to join our Revenue Accounting team. This role will be working closely with other Project Analysts and Regional Business Directors in our Professional Services Organization supporting all the reporting needs of the business as well as other ad hoc financial operations responsibilities for EMEA. This role will also support global initiatives and projects.